Quick Take: Led by the intrepid Grace MacBride, Monkeewrench is a gifted group of computer geniuses whose firm is brought in to help the cops solve their unsolvable cases. Brilliant and way ahead of the curve in the world of technology, the eccentric team offers a glimpse of the future as it teams up with incisive Minneapolis homicide detectives Leo Magozzi and Gino Rolseth. Magozzi and Gino have turned to Monkeewrench when a barrage of seemingly random crimes shatters their serene Christmas holiday. First, two friends are found murdered two hours and several miles apart. Then, an elderly, terminally ill man is kidnapped from his home, while an Alzheimer’s patient goes missing from his care facility. Initially the events appear unrelated, but when a young woman with casual links to both murder victims arrives home to find two dead men in her basement, a startling connection emerges—a connection that will make a target of anyone linked to the victims. Sixty years earlier—post Hiroshima and Nagasaki and long before the Internet—a top-secret team of scientists and engineers developed a blueprint for obliterating infrastructure without massive loss of life. Known as The Sixth Idea, its purpose was to disrupt governments and agencies yet minimize human damage with a not-yet-developed technique for harnessing electromagnetic pulses. This futuristic weapon had the potential to radically change warfare and dramatically reduce the death toll, but success depended on someone keeping the blueprint under wraps until technology caught up. Decades later, the present day keepers of the secret weapon are conducting small-scale trial runs, while descendants of the original group are in the cross hairs of an assassin’s rifle. When Magozzi and Gino catch the unusually complex case, they realize they’ll need sophisticated help from Monkeewrench to track down the killer. With Grace and her trio of partners on board it’s only a matter of time before they unlock the mystery of who is pulling the strings and why. But can they shut Pandora’s Box before Sixth Idea technology falls into the hands of terrorists? 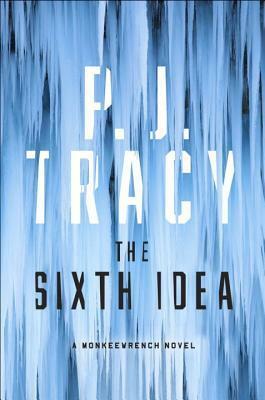 P. J. Tracy is the pseudonym of the mother-daughter writing team of Patricia Lambrecht and Traci Lambrecht. They each live in Minnesota, just outside of Minneapolis. Thanks to G.P. Putnam’s Sons, I have a copy to giveaway to a lucky reader. You must be at least 13 years old to enter and have a US address. Please read our giveaway policy before entering. Thank you, thank you, thank you for the opportunity!!!! I LOVE your books and am recommending them to all my book loving friends!!!! I have enjoyed all the other books and am looking forward to reading this one! Oh my What a ride!!! Can't wait! Yes! A new book in the series. Loved reading the previous books, and looking forward to this one!!! I also love the series and look forward to the new book! Looking forward to reading the next book and hopefully many more! Looking forward to this latest entry! I have all of your books and can't wait for this one! Thank you. Looking forward to this book, can't wait!! I'm anxious to read this one. I'm a fan of Leo and Gino and all the crazies on the Monkeewrench team led by Grace. The monkeywrench crew are my new favorite detectives. They are awesome!!!! I can't wait to read it. My library just ordered your books for me. I despaired of reading anymore Monkeewrench books when PJ was gone for so long (and I hope all is well now) but intrepid me (nice way of saying stubborn) I kept searching for clues as to their whereabouts and why they were gone. Lo the joy of finding them writing and publishing still was like a light from the heavens. . . or maybe I just forgot to turn off the beside lamp. Whatever the case, I am waiting anxiously for August 2nd. I need my Monkeewrench fix! Thanks, Papa, and thanks to all of you who have responded so generously for your continued support and enthusiasm. There have been some rough times with family health issues during our absence that took precedent over everything, but PJ and I are finally back and to make up for lost time, we have another Monkeewrench novel in the can and coming out in 2017, and another one slated for release in 2018. The drought is officially over, and you are all some of the very first people to know it. Best to you all, and thanks again for being such loyal fans. Papa, it probably was just your bedside lamp :) But we love the idea of light coming down from the heavens! Finishing two books in two years makes us think there's some divine intervention! I've loved all the books and can't wait to read the latest! Love these books. So glad they are coming out with a new one. I've been reading this series from the beginning and have turned a couple of friends on to it. The characters are smart & witty, the writing is crisp and lively. Yay, more Monkeewrench! I'd love to win, this is my favorite series! Thanks for the chance. 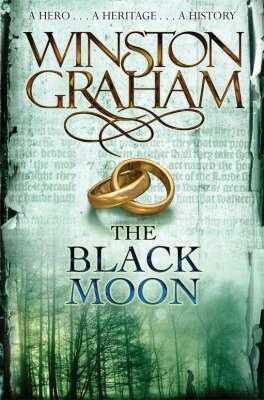 I really like this series and have been waiting for another installment! Thanks!